Grab a bottle of Staminan X and slip on your white snakeskin shoes, because it's time to head back to Kamurocho in the Yakuza 6: The Song of Life Prologue Demo! Take control of Kiryu, The Dragon of Dojima, and start smashing heads with explosive Heat Actions, pump iron at the new RIZAP gym, hit a few home runs at the batting cages, and master the beautiful and time-honored art of karaoke before the game officially launches on April 17th! Kiryu doesn't like to waste time (ironic, considering all the time he spends hanging out in arcades and chatting with hostesses), so all the progress that you make in the demo will carry over to the full game! Data carried over between the demo and full game will include story progress, Substory progress, all EXP / stat gains, and your full inventory. Please note, Trophies can't be earned in the demo. Start the final chapter of Kiryu's saga today - download the Yakuza 6: The Song of Life Prologue Demo right now on the PlayStation Store at the link below! 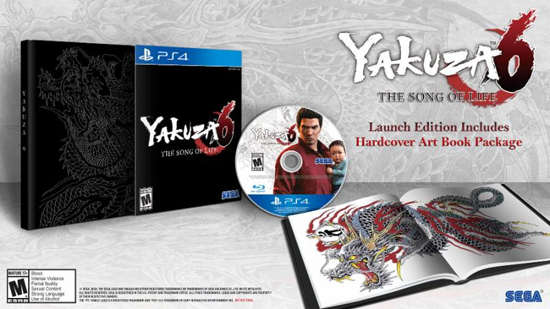 If you need a refresher on some of the amazing features coming in Yakuza 6: The Song of Life, be sure to check out the Gameplay, Minigame, and Clan Creator trailers linked on the sidebar. 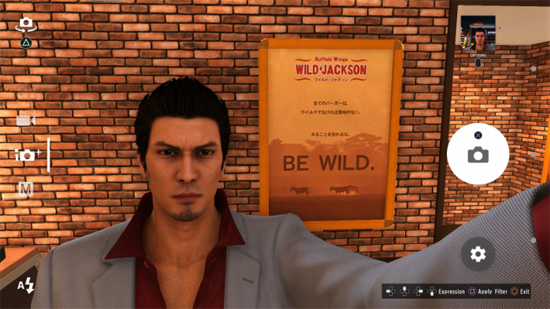 Kiryu, having mastered modern technology in the form of a smartphone, can now take selfies to chronicle his travels from Tokyo to Hiroshima! Once you get rolling in the prologue demo, press "Up" on the d-pad followed by "Triangle" to enter selfie mode, snap a selfie, and share it with the hashtag #KiryuSelfie!